China30s is an independent media & think tank to provide exclusive stories and insights on China’s innovation crowds, mostly the Chinese who are in their 30’s and with innovative minds. We name them the “Sandwich Generation of China” (中国“三明治一代”）, who are stressed out by various issues including; careers, self-development, busy lifestyles and family care – while keeping their dreams alive. The “Sandwich Generation” is the first Chinese generation to think and searching for their own lifestyle. China30s was founded in March 2011. In the past three years, more than 800 “Sandwiches” were interviewed. Their amazing personal stories with different focus such as entrepreneurship, baby caring, lifestyle positioning, self planning, attitude towards life and migrant working were shared to a large “Sandwich” community, a new type of social network formed and connected by people from home and abroad with similar values and a similar age. We are devoted to training good writers among ordinary Chinese people and developing new ways to create content in China in the midst of globalization. High quality content will be generated by crowdsourcing with professional planning and editing. We also bridge you and the most energetic and creative Chinese talents and arrange meetings and visits in cities including Beijing, Shanghai and Guangzhou to provide you the most insightful perspectives to know the real China. Detailed media coverage of China30s can be found in Financial Times, BBC, NPR, China News Agency, China Daily Global Entrepreneurs, 21st Century Business Review, Southern Metropolis Daily, Trends, Rayli, City Zine and other media. We also partnered with CITIC publisher and MZ Read to publish books. China30s consists of a digital magazine-like website (china30s.com) and an offline member community (China30s Community). Congregated by shared values and the recognition of “The Sandwich Generation”, community members help each other, share life stories and take part in charity programs under the motto of “mutual cooperation, sharing and action”. In March 2014, we open a “StoryPark” in 96 Wuyuan Road, Shanghai. In this StoryPark, we organize all procedures of story productions. People can listen to stories here, tell their stories here, interview stories here, write stories here, and of course, create their own stories here. 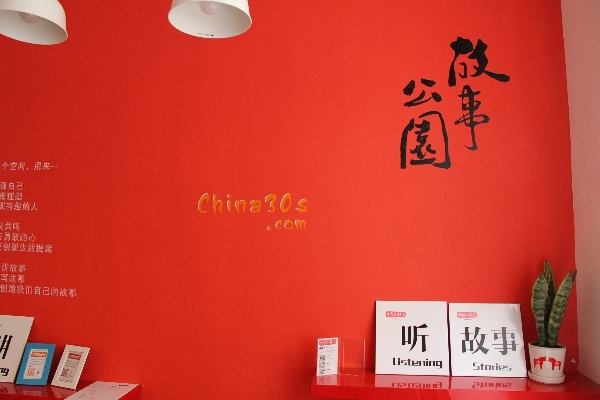 In order to sustain our development, Shanghai China30s Culture and Communication CO.,LTD was registered in December 2012 to help people in their 30’s customize their lifestyle. 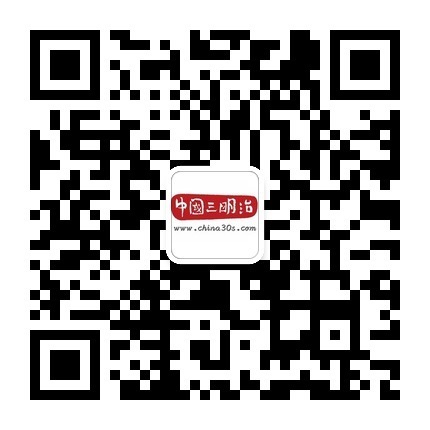 Search “china30s” on WeChat or scan the QR code to follow our WeChat account. We will push website updates and event information to keep you posted. You can also leave your comment on WeChat. Just follow little30s to chat with us. Articles written for China30s are deemed to give consent to be published on China30s website, WeChat and other affiliated platforms (currently with no royalties) and China30s has the right to recommend them to publishing partners. If royalties are generated, China30s will discuss with the writer about payment method. The copyright is jointly owned by the writer and China30s (Shanghai China30s Culture and Communication CO.,LTD). Any company, organization or individual shall not reproduce the article without the consent from the writer and China30s. All Rights reserved. LI Zixin has over ten years’ experience in both journalism and public relations. He has an intensive experience in covering democratic elections in western countries, including the US(2008),UK(2010),Russia(2012) and recently France. He published a book on UK democracy system in 2011 and another book on disaster journalistic reporting in 2009. His PR experiences include Vice President of Financial Dynamics and Public Affair Manager of theLi Ka-Shing Foundation. 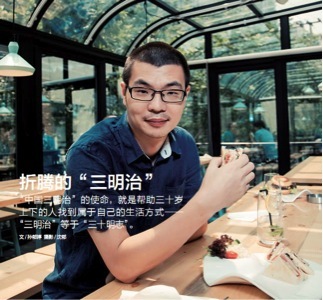 In 2011, he set up an independent website called China30s.com for the “Chinese sandwich generation”- people who are around 30s and find themselves in the middle of careers, families and other life status. The website extends to an offline platform which supports the “sandwichers” to gain positive power from each other and make a change to their own lives. Zixin holds a BA in Journalism from Renmin University, China and an MSc in International Public Policy from University College London, with a scholarship from the World Bank. Copyright ©2011- 2019 China30s. All rights reserved.